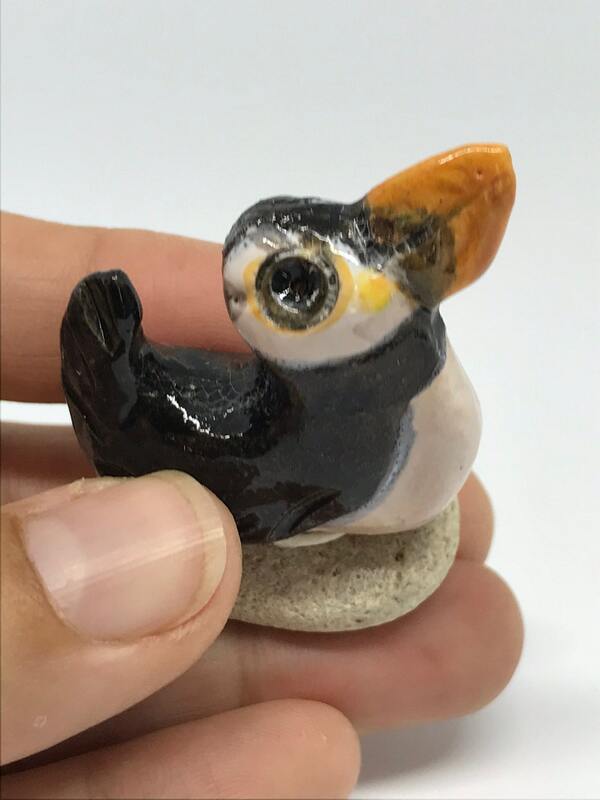 Peter Puffin sitting on his little pebble has been handmade in my Sussex pottery. 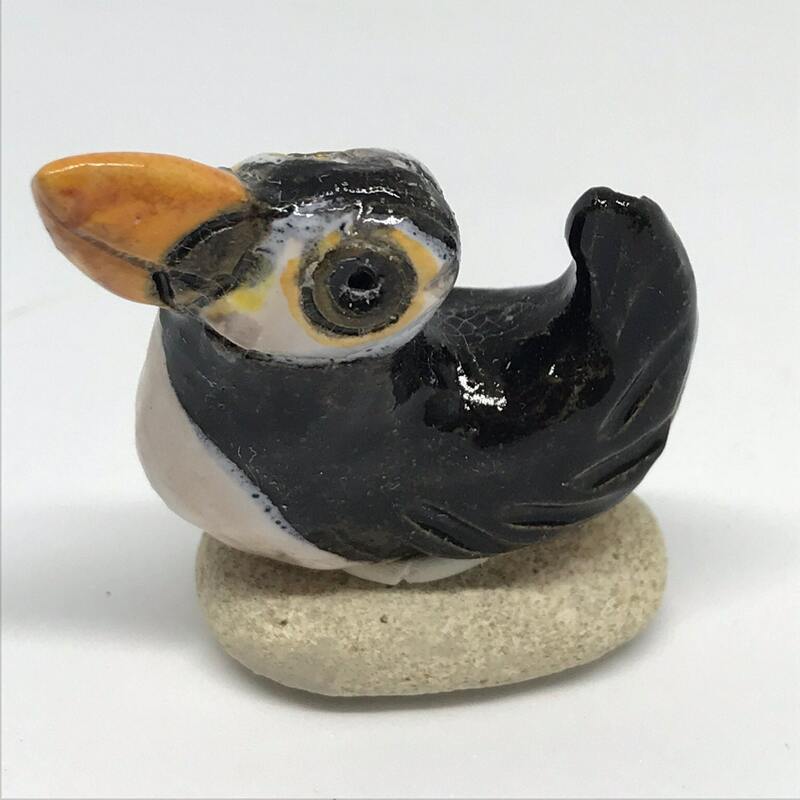 This little bird is looking for a nice new home to roost. 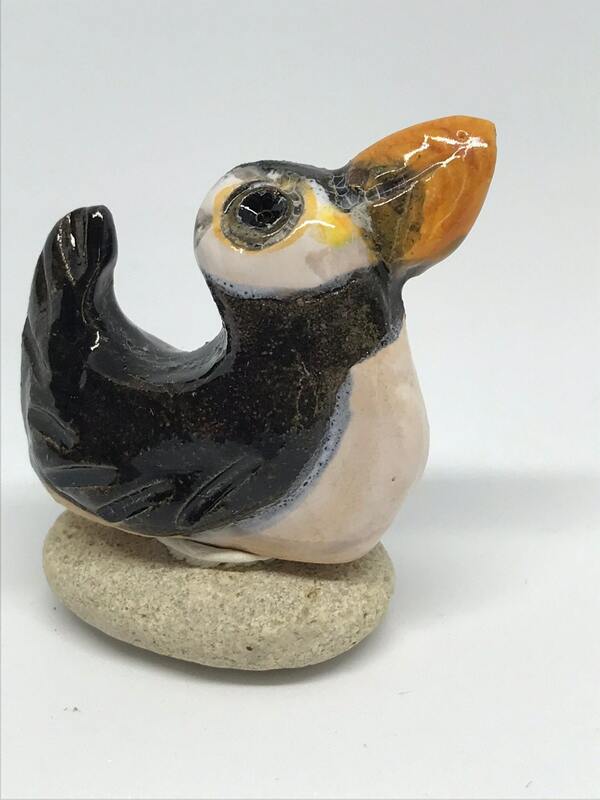 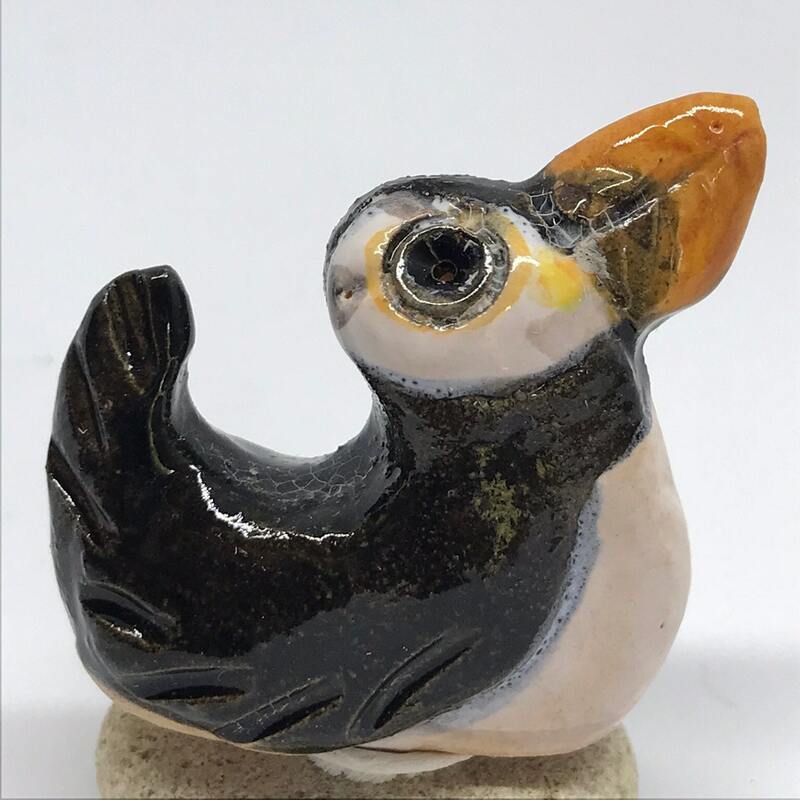 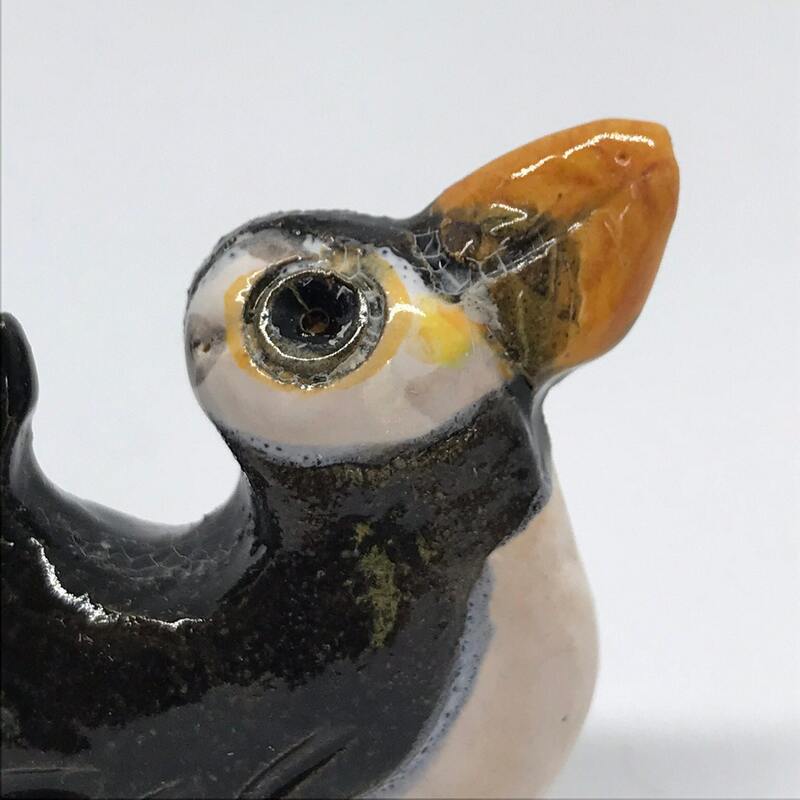 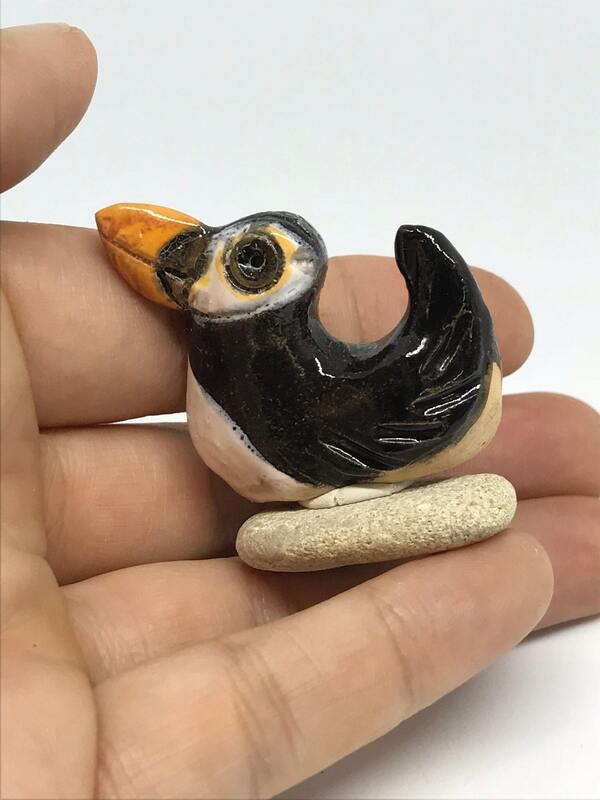 Miniature puffin, hand painted with glaze and fired in my kiln called Bertha. 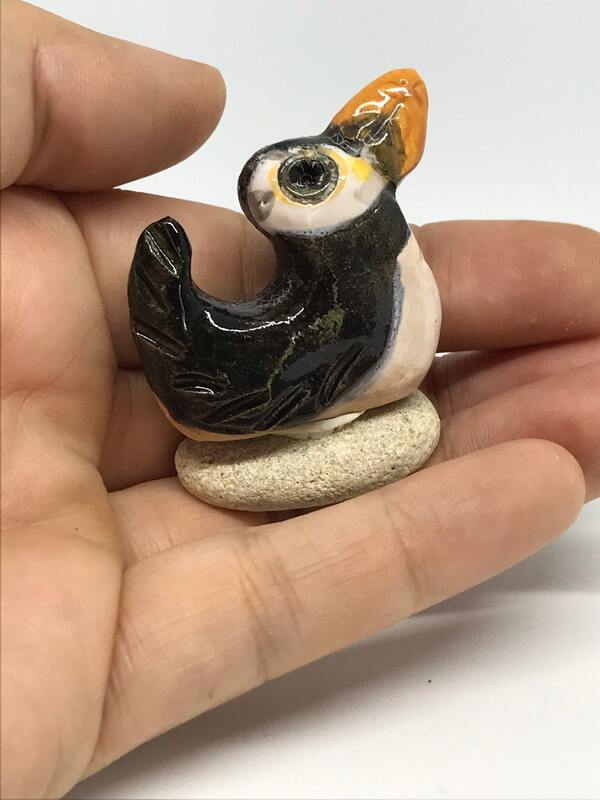 He is ready to pack his bags and travel to his new home. 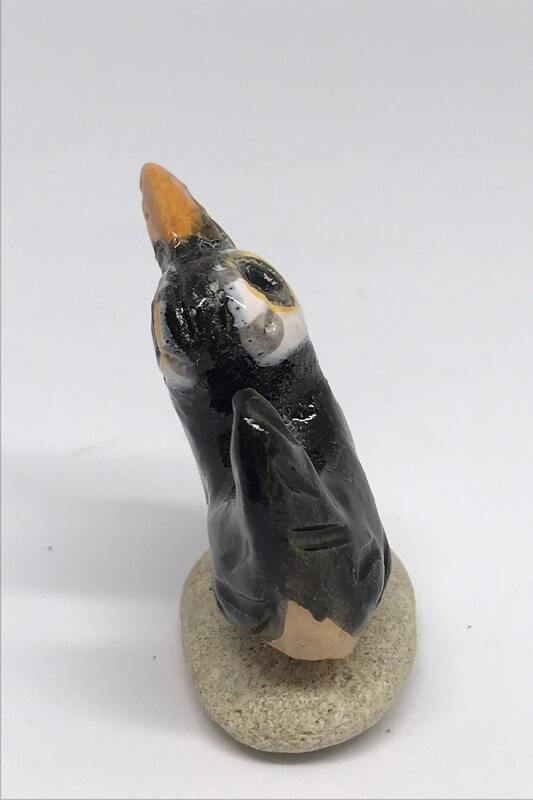 All he needs is a nice place to sit and watch the world go by.